Click on link below and have your volume turned on, enjoy! I apologize for the lack of posts this Spring and truly appreciate your patience, comments and loyalty. Here is an overview of what I've been up to in between rain, snow and wind. 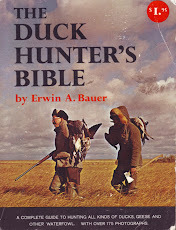 I have been studying and meeting the requirements for Oregon's Master Hunter Test that the Oregon Department Of Fish and Wildlife offers to hunters who have successfully completed their basic Hunter Safety Education. The Master Hunter is a continuation and more involved test than the former. Building upon the basics while also asking more of the student, both in the class room and the field. There are over 125 questions in a study book, covering topics from land use, fire safety, firearms, game care, specialty hunting, first aid, water safety and hypothermia. Plus a myriad of ethical questions that require a full description of your reasoning and how you came to your conclusion. There is a 4 hour class room study session followed by a 50 question multiple answer test. 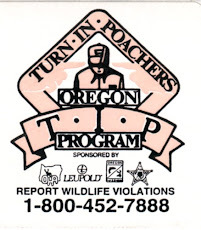 Each student is required to do 20 hours of volunteer service to benefit a natural resource such as BLM, Oregon Hunter's Association, RMEF, DU or similar. A shooting test is also required and consists of shooting a caliber legal to hunt elk in the state of Oregon which happens to be a .25 or larger. 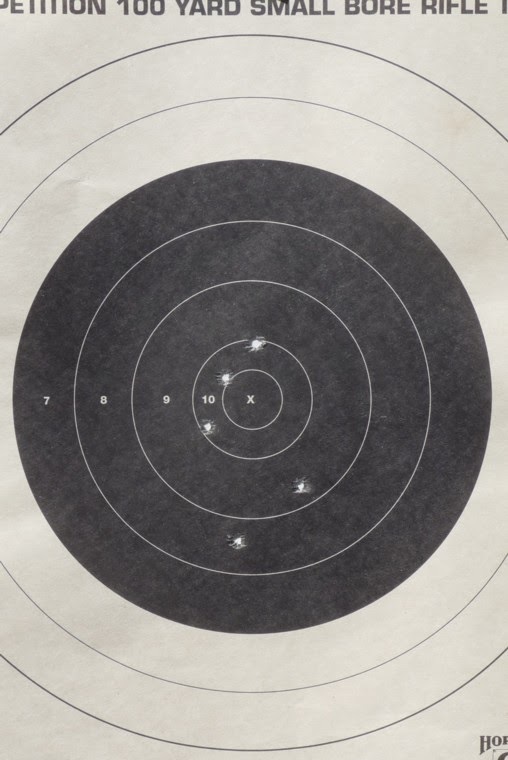 The shooting test consists of 5 rounds from 100 yards using a kneeling, sitting or standing position without a rest at an 8" diameter circle, of which 4 of the 5 shots must be within an 8" diameter target. This may sound easy to some of you and I invite you to go try it for yourself. Trust me it's not as easy as it sounds. I used my new(to me) .257 Roberts in Remington that was my friends fathers rifle. It is a real tack driver as they say. This is the best I have ever shot with a rifle, and to say I was thrilled is an understatement! The black on this target defines the 8" diameter. My friend and I completed the last of our 20 hours on Tuesday. Our paperwork is on its way to Salem to be approved, at which time we will be issued Master Hunter certification cards that will give us precedence for big game emergency hunts. Here is the definition from ODFW, "A hunt held on short notice to resolve an acute game mammal damage problem to livestock, agriculture, or timber." I have yet to go Spring bear hunting as a result of weather and work. As I write this post it is raining buckets and the winds are steady at 15 with gusts to 40. I guess this year we are going from Winter to Summer without much Spring. Snow level is getting back down there too. On the other hand I continue to plod along with my woodworking picking up dovetail drawer orders here and there. At least enough to keep the lights on and cover my overhead. Thanks for stopping by and as inspiration finds me I'll be writing and sharing of my escapades here on the pages of Women's Hunting Journal. Hope everyone is having a good Spring and are getting out into the wilds of this wonderful world we live in.